I know that Valentine’s Day is totally centered around LOVE, but next comes all the candies and the goodies. 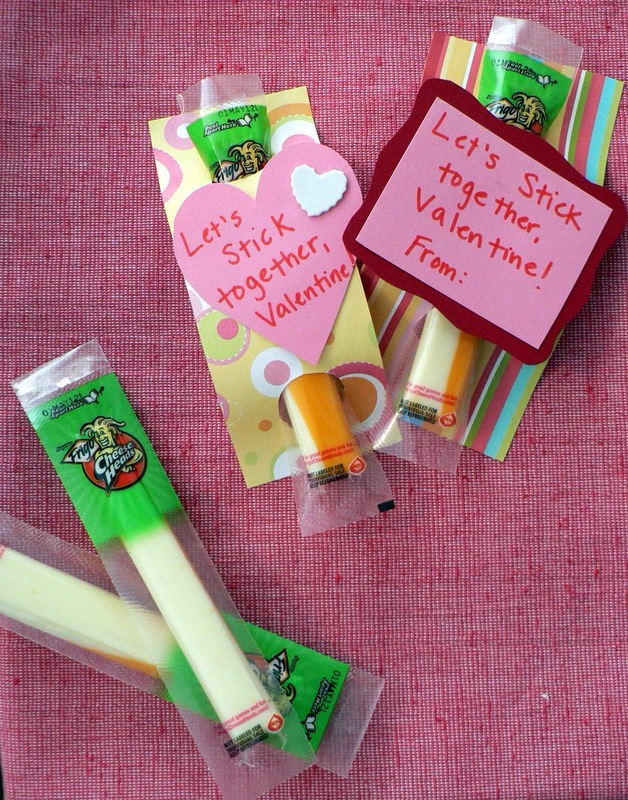 I’ve found some super cute ways to send Valentine’s Day Love without the candy. These ideas are creative, so cute, and still tasty! All the photos are taken from the sources I’ve mentioned. These are my favorite TOP 5 ideas I’ve seen! This first idea comes from Tutto Bella. I think it’s great! 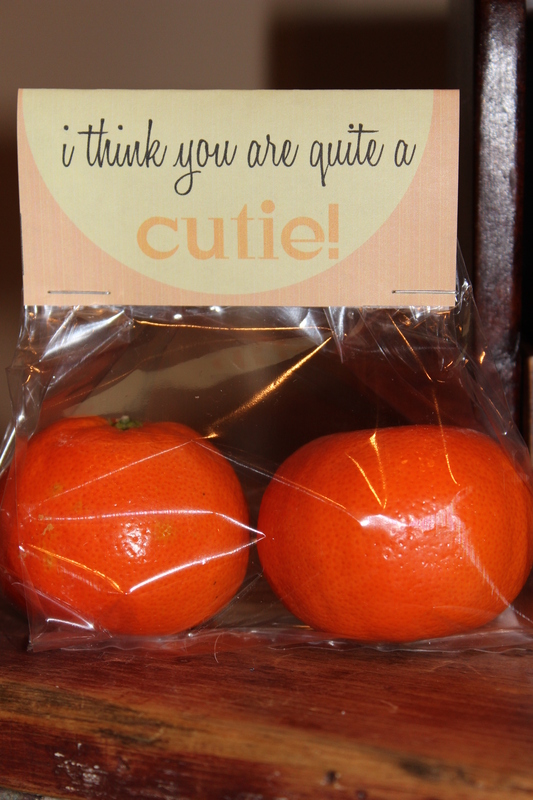 This next one comes from Craftaholics Anonymous and, as a bonus, you can even download the Fruit Tags for free! This makes this Valentine WAY easy to put together. This next one also uses fruit, but a bigger variety. It’s from Alpha Mom and she also has the Fruit Labels available for downloading. 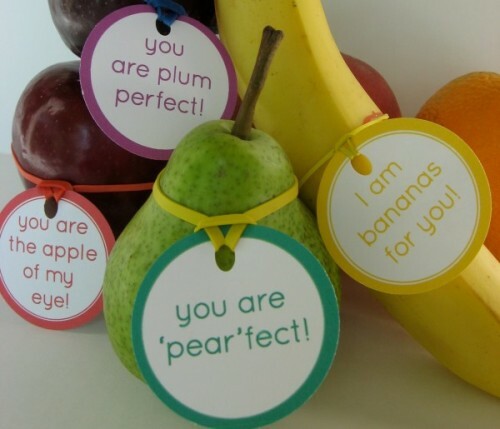 She mentions putting these cute little tags on the fruit and throwing them in your kiddo’s (or hubby’s) lunch boxes, which is a fantastic idea! 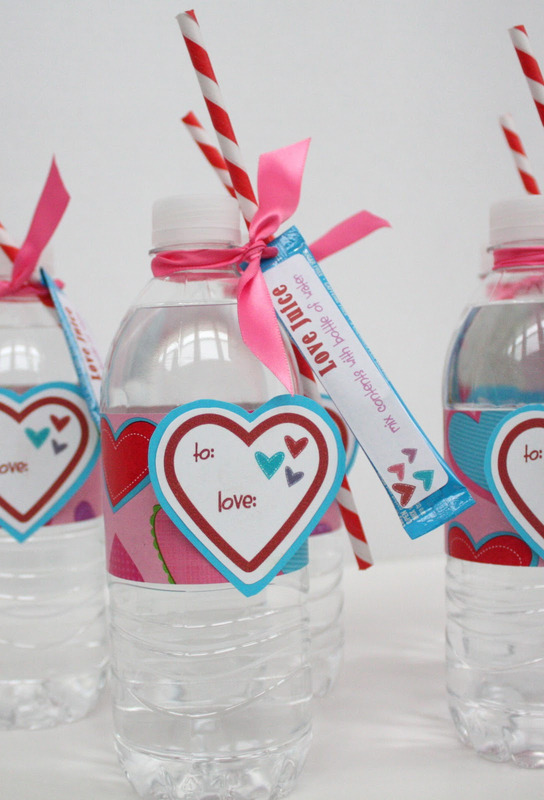 However, these are adorable for Valentine’s Day too! This next one is from Bless This Mess. She has several fun and healthy ideas, but I really loved this one. It uses a stick of string cheese! And, last, but certainly not least (as this might be my favorite of the bunch), is “Love Juice” from At Second Street, via Tatertots & Jello. This idea is so fun and she’s made it SO adorable. 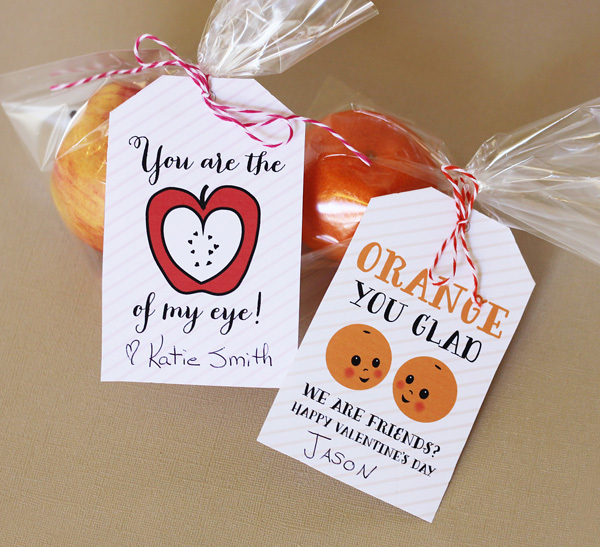 She even has a free printable so that you can make it cute too without even trying! So . . . there you have it! 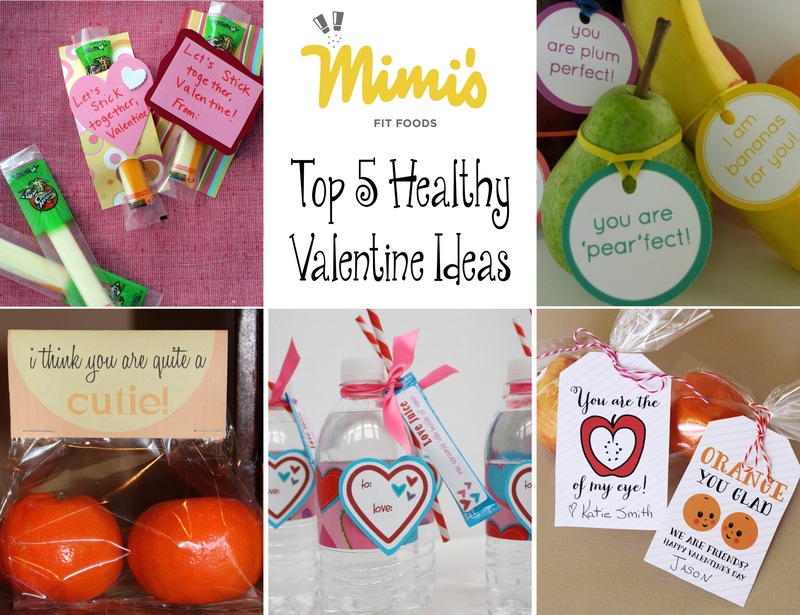 You can create and deliver healthy Valentines and feel totally awesome about it! What other ideas have you had? Please share! !